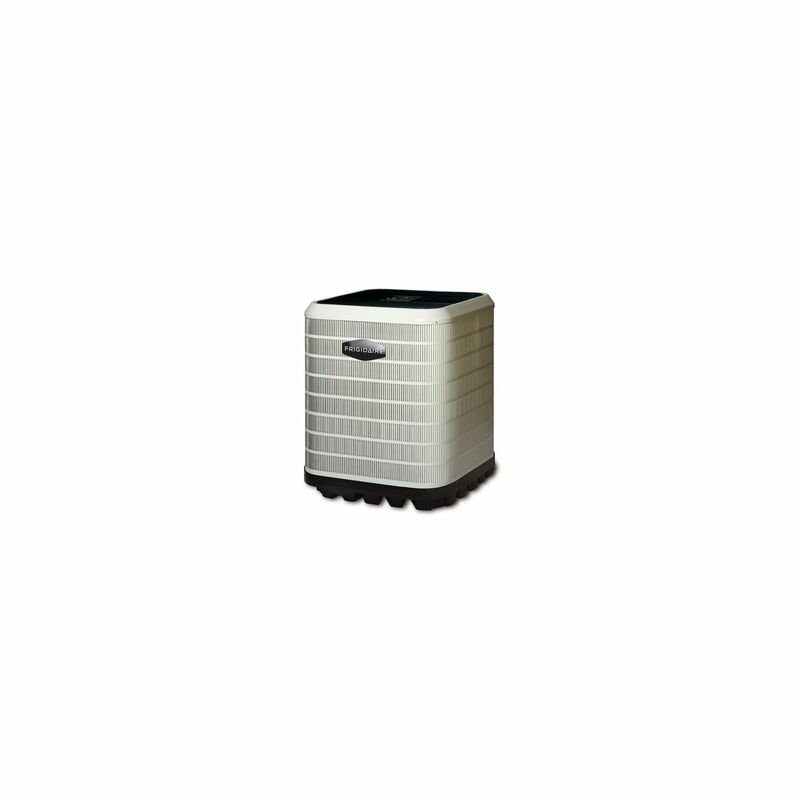 Frigidaire FT4BF-KA/B Series, R-410A, Ultra High Efficiency Heat Pump, 16 SEER. FT4BF-KA/B Series now offers the choice of the heat pump that uses a more efficient and environmentally friendly refrigerant designated R-410A. The FT4BF-KA/B Series of heat pumps offers exceptional performance as well as environmental protection. These models, when matched with our variable speed air handlers or variable speed equipped gas furnaces, offer a line of high quality heat pump systems rated up to 16 SEER and 9.0 HSPF. R-410A Refrigerant - Earth friendly non-ozone depleting refrigerant. Comfort Alert Module - Detects system and electrical problem conditions. A diagnostics key directs the service technician to the root cause of a problem. Copeland Scroll UltraTech Compressor - The Ultra Tech Compressor operates with 2 stages of heating and cooling capacities to provide superior comfort and efficiency. Copeland's proven and simple design equates to years of comfort and reliability for the homeowner with virtually silent operation. Durable, Attractive Cabinet - Designed using galvanized steel with a polyester urethane finish. The 950 hour salt spray finish is 1.5 mil thick and resists corrosion 50% better than comparable units. Composite Base Pan - Absorbs sound and is corrosion resistant. Composite is also stronger and lighter than steel. Copper Tube / Aluminum Fin Coils - Both indoor and outdoor coils are designed to optimize heat transfer, minimize size and cost, and increase durability and reliability. Demand Defrost - Provides additional energy savings in heating by defrosting only when necessary. Louvered Condenser Guard - Durable metal guard protects the coil from yard hazards and extreme weather. Removable Top Grille Assembly - Allows ease of service from the top without disconnecting fan motor leads. Swept-Wing Fan Blade - Designed to significantly reduce unwanted noise. Low Pressure Switch - Loss of charge protection ensures long compressor life. Auto-reset feature prevents nuisance service visits. High Pressure Switch - Protects against abnormally high system pressures. Auto-reset feature prevents nuisance service visits. Liquid Line Filter Drier - Included with unit, field installed. One Piece Top/Orifice - Designed for maximum airflow and quiet operation. Common Suction Service Port - This port allows the contractor to read the suction pressure in all modes of operation without removing any panels, saving time and increasing serviceability. Three Minute Restart Time Delay - When the unit shuts down, a three minute delay keeps the unit from restarting, eliminating the highest cause for compressor failure. Suction Accumulator - Protection from liquid flood back and future compressor failures. Hot Gas Muffler - Reduces compressor noise and vibration. Easy Compressor and Control Access - Designed to make servicing easier for the contractor, access panels are provided to all controls and the compressor from the side of the unit. Receive discounts and coupons on future sales on all of our products and services sold.